Together, we will beat cancer. Fundraising, learning, getting active. Students today will become the life-savers of tomorrow. 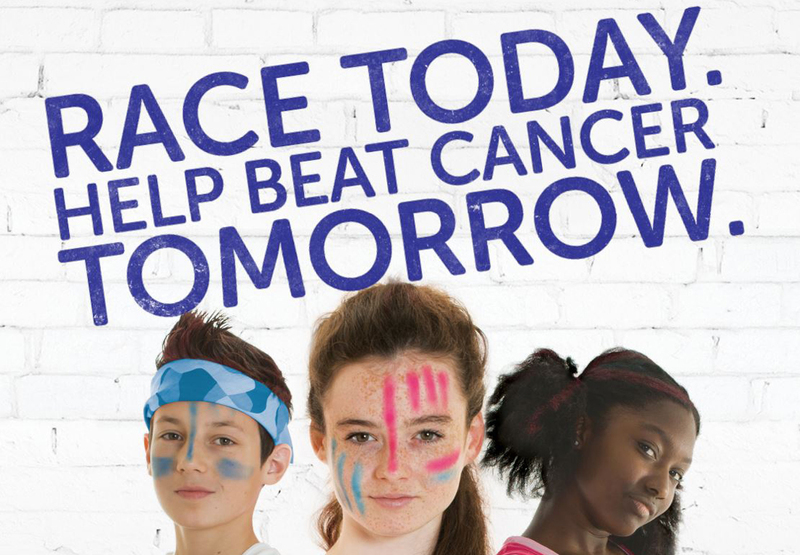 Every penny and every pound means more research into better preventions and kinder treatments. Your students are the generation that will see cancer cures in their lifetime. 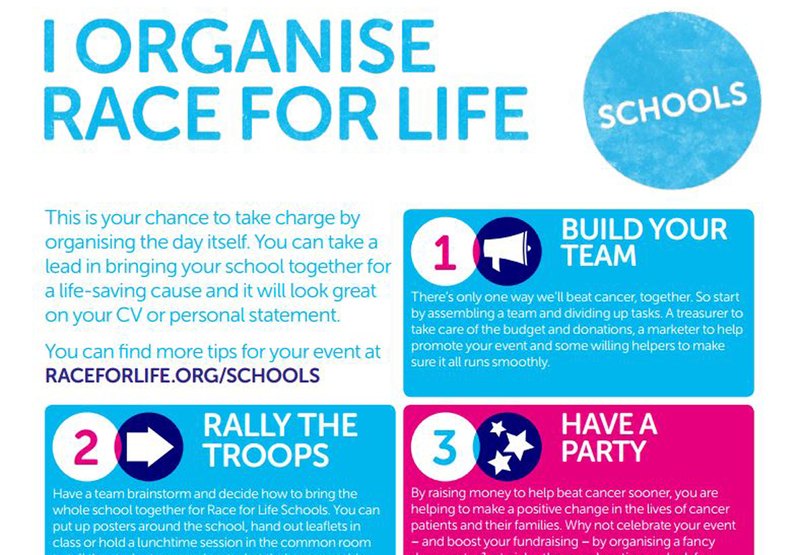 You can get your whole school involved in a fantastic cause. 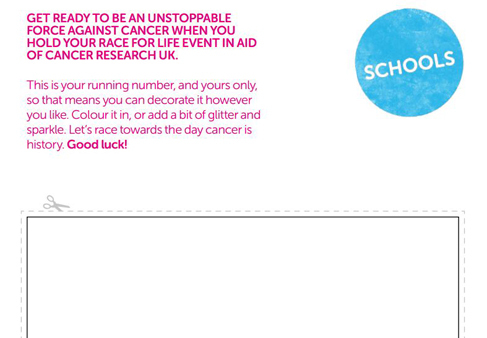 We'll give you everthing you need to make holding your own Race for Life Schools event easy and fun. We’ve created some brilliant tools to help teachers - or older students - put on this event really easily. 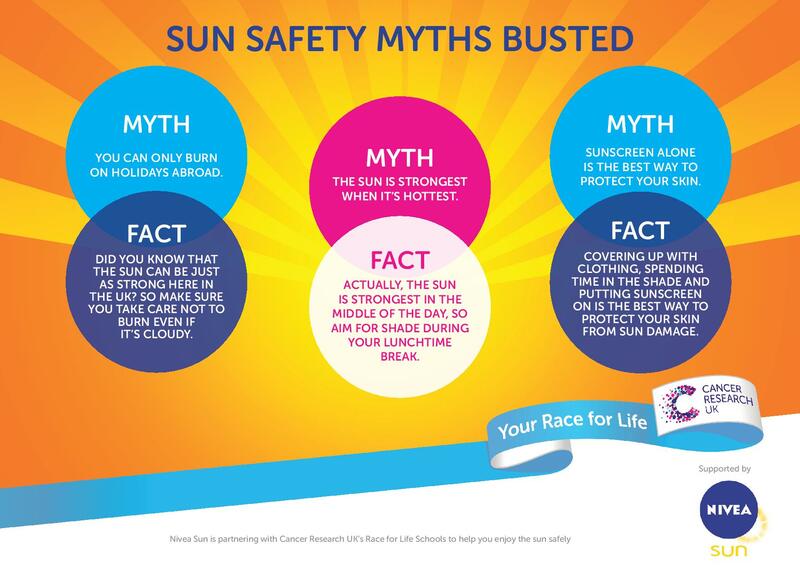 Once you’ve signed up and received your free pack, take a look at the online resources below that will help you talk to parents and show your students why taking part in Race for Life Schools is so important. This generation will help beat cancer sooner. 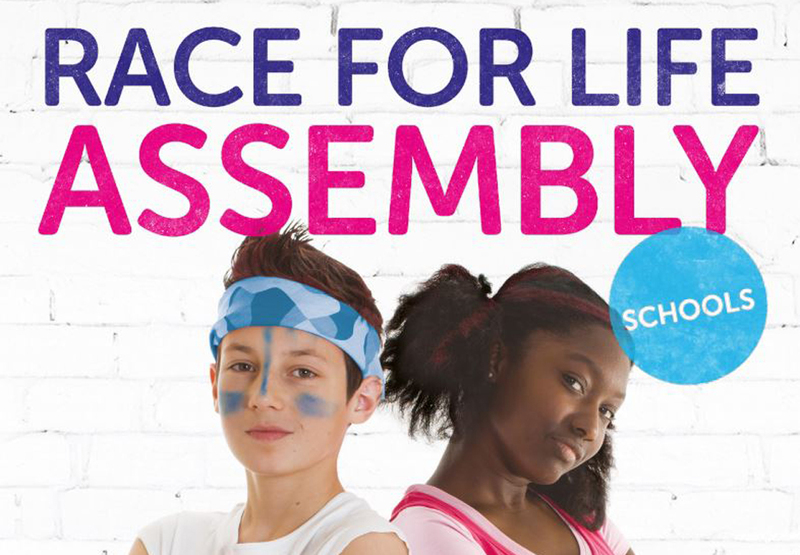 The best way to do that is to encourage your pupils and their parents to spread the word about the event and raise as much money as they can either through sponsorship or fundraising. Once you’ve signed up you can set up a Cancer Research UK Giving Page, as this is the easiest and most secure way to collect donations. It’s safe, simple and secure to use and you can then share the link with pupils and parents to collect any money they raise. You’ll be sent the link to your page in your welcome email. 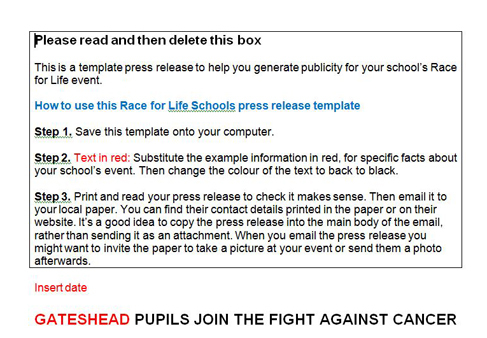 If you’d rather raise money offline, you will receive an offline sponsorship form for every pupil taking part in your free event kit, but you can also print more. 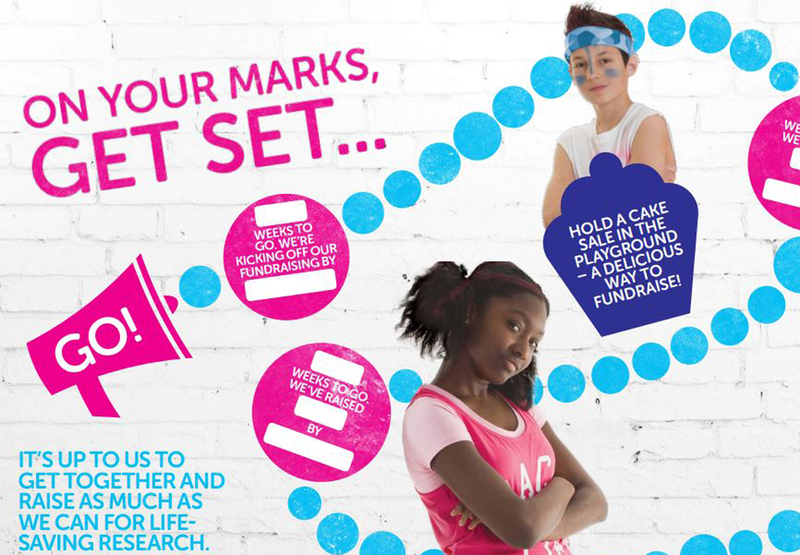 For great tips and ideas on how you can get your class to raise funds to beat cancer, take a look at our Fundraising Ideas page especially for Schools. 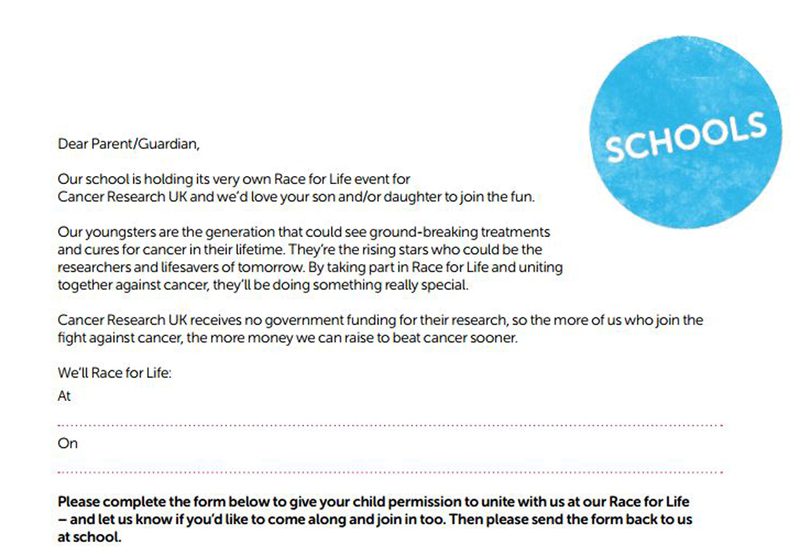 Don’t forget to shout about the fact your school is putting on a Race for Life event of your own by putting it in your newsletters or use our press release template to tell your local press! You just need to download, edit and send it on to your local media contacts. 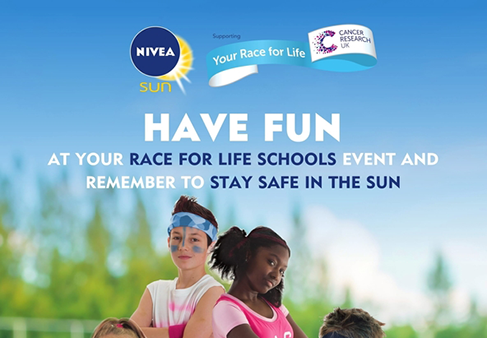 Cancer Research UK is pleased that Nivea Sun is supporting this year’s Race for Life Schools campaign to help you and your pupils stay sun safe this summer.